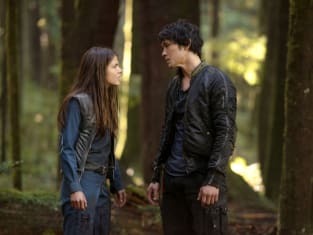 Pictured in this scene from The 100 Season 1: Bob Morley as Bellamy and Eliza Taylor as Clarke. 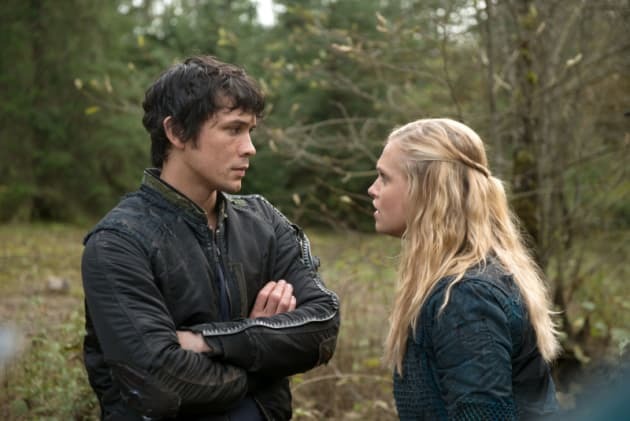 The 100 Season 1 Episode 5: "Twilight's Last Gleaming"
Permalink: Hi. I made it? Permalink: Did you see that?